Autumnal embroidery in silk and cotton floss on calico. Well it is no surprise that I love Autumn, I take the same kind of photographs every year, I regularly use Autumn leaves for bookmarks and find leaves from past Autumns well pressed in-between pages every year. 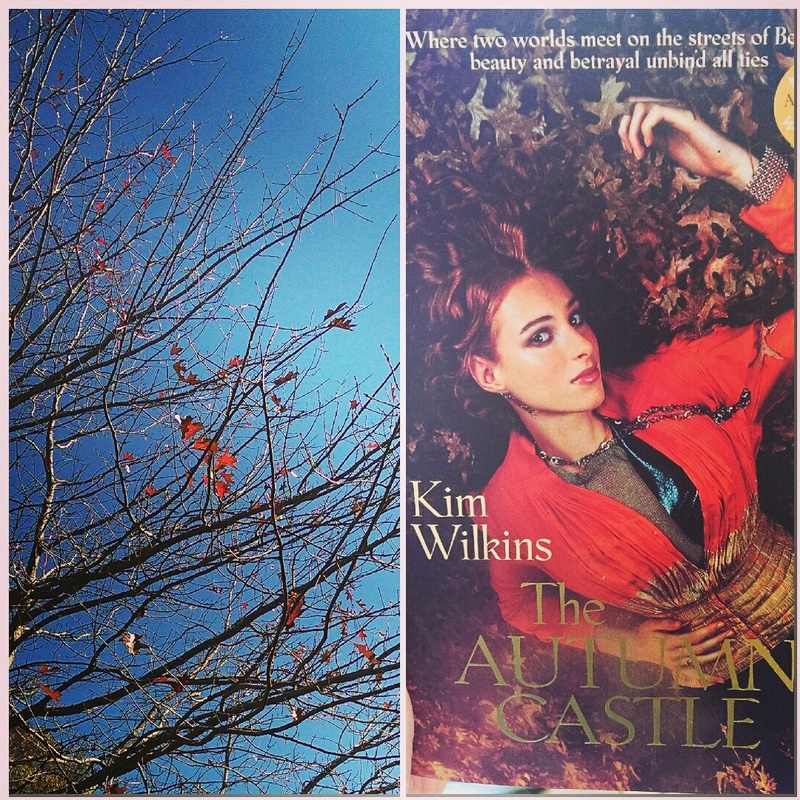 I have done my Autumnal re reading of Kim Wilkins' Autumn Castle, such a perfect read for the season and one of my favourite books ever. The Autumn Castle has a quote from a poem of Kate Forsyth's, another favourite author (Her poems are published under her maiden name, Humphrey). 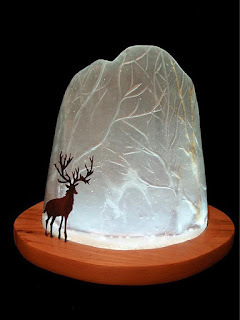 "So pure and cold the wind breathes. 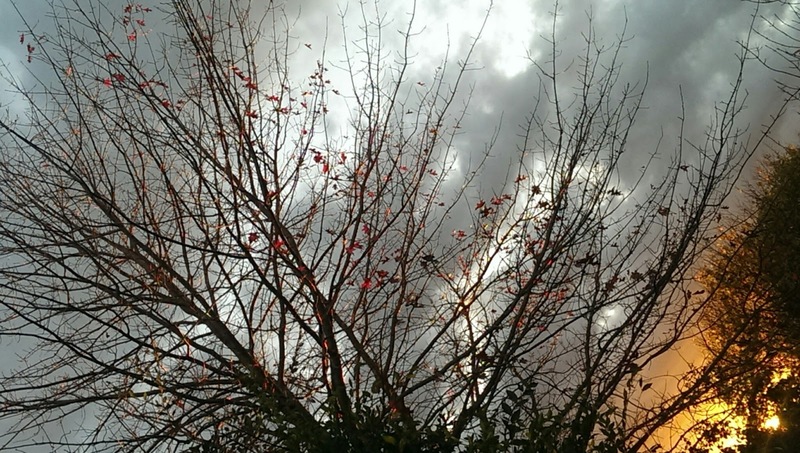 It pares the flesh from the bones of the land - finds at last the essential shape" Autumn, Kate Humphrey. Kim Wilkins also includes her own translation from a few lines of Hohenburg by Georg Trakl. And theawakening at the edge of the twilit forest." This quote reminded me of another, one that when I read it thought... Yes, that's it exactly! Unfortunately all I remember is that feeling and not the quote. Frustrating. 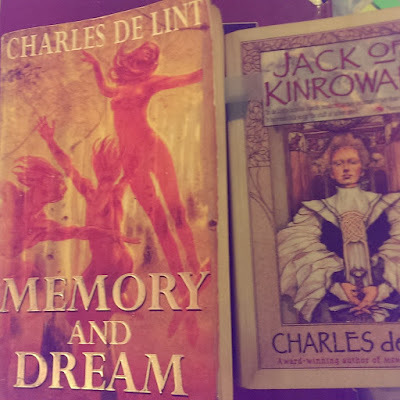 Searching my memory I managed to narrow it down to a Charles de Lint novel but despite searching 'on the google' I couldn't find it (turns out I should have remembered the American and Canadian use of the word Fall). So I started re-reading 'Jack the Giant Killer' and then 'Memory and Dream' and at last I found it. 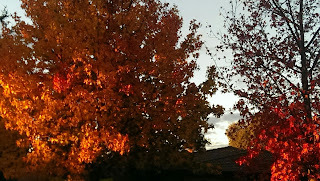 I had read Memory and Dream in a previous Canberra Autumn, where I was feeling incredibly nostalgic. 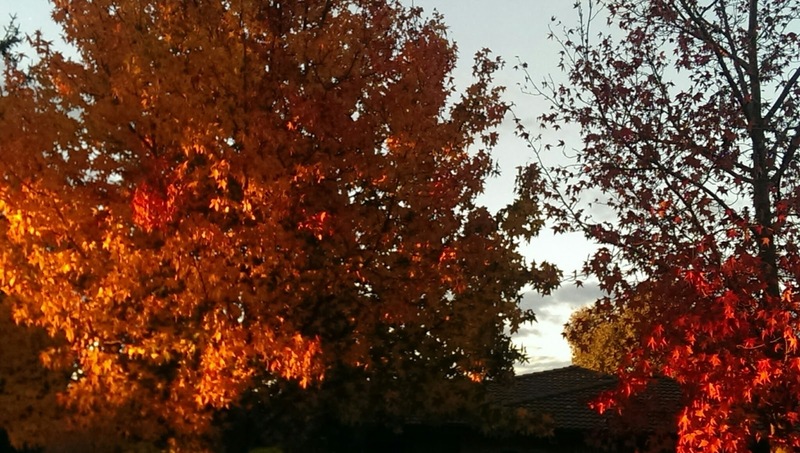 Canberra is planted with many European deciduous trees, reminding me more of German and English Autumns than any Sydney season could give. 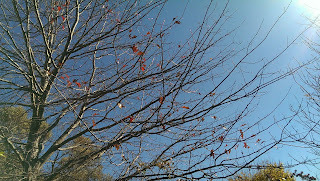 I was pondering on why I love winter trees (I mean why would a person prefer bare branches to glorious green?) and the Andrew Wyeth quote drew me to an answer. It is that brimming sense of potential, of becoming, of promise. The tension of the moment before the action happens. 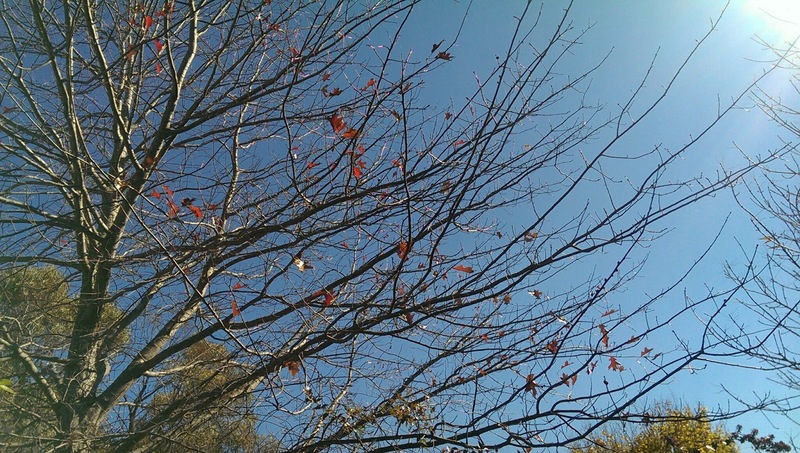 I love being able to see the 'bone structure' or bare architecture of the tree branches... I guess that is why all my glass pieces have bare branched trees. Well not quite. 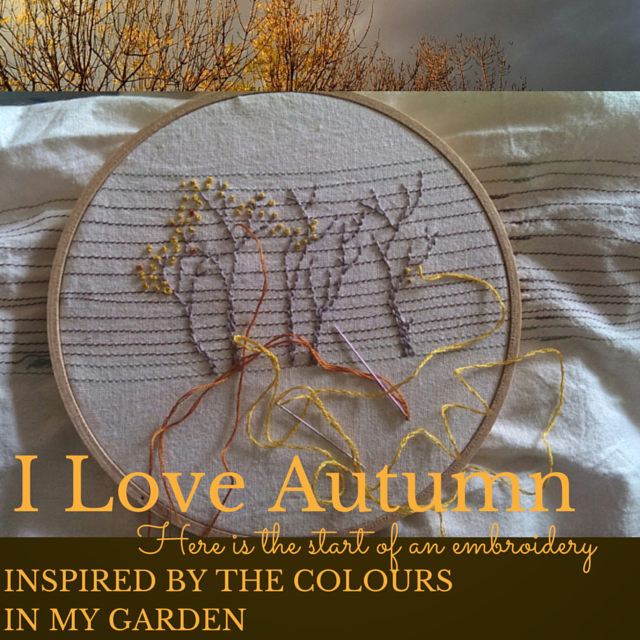 The trees in my garden, which I take pictures of constantly at this time of year have inspired me to a small embroidery. 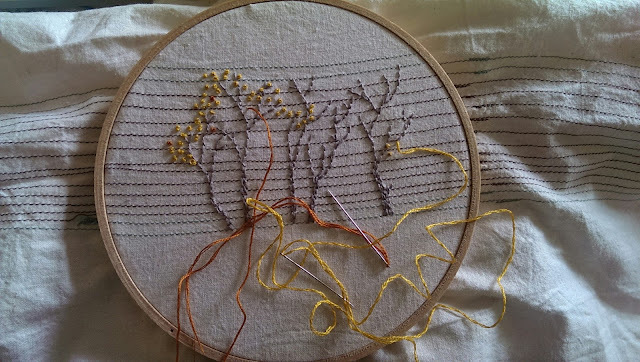 Yellow and grey are such a great colour combination, that I kept seeing the tree branches and yellow leaves in stitches. So I have started, the background calico is an old piece (20 years) of stitch testing. When I first went to pattern making college, our first lessons where of threading an industrial sewing machine to a timer and practicing sewing a straight and even line. As you can see mine are a little wavy, but I think it works great as a background giving a suggestion of landscape. The calico has a lovely soft texture 20 years later!